Rural Poverty in California: Is the American Dream Drying Up in California’s Central Valley? Change is not an easy thing to do especially when only one person is doing it. In Central California, that person’s name was Nettie Morrison who by strength of will, a good amount of political acumen, and a community ready for new life, was able to bring change and hope to a forgotten part of California’s Central Valley. In October 2018, CEE Senior Fellow Catherine Coleman Flowers and CEE Deputy Director Andrew Schwartz visited Allensworth to bear witness to the life and work of Morrison, and to see firsthand a city plagued by environmental mismanagement, systemic racism and classism, and now climate change. The trip to Allensworth is part of CEE’s mission to stand with frontline communities who are forced to fight against the dual burden of social and environmental injustice. Editor’s Note: This story marks the launch of an ongoing series about poverty in California’s heartland. From farming valleys to foothill communities, “the other California” makes ends meet in a time of adversity. Climate-changed weather patterns have contributed to catastrophic droughts and fires, while dwindling job opportunities are depopulating long-established towns. In the months ahead, we will profile the lives of rural Californians and examine the economic conditions that shape their futures. We will also weigh proposed solutions to the challenges they face, as well as programs that are helping to improve the present. Protecting clean water is one of the most important ways you can have a positive effect in your environment. In honor of World Water Day, we share Steps to Build Community and Congregation around Water. Where is your water? Find your watershed. Knowing where your Water comes from is the first step. 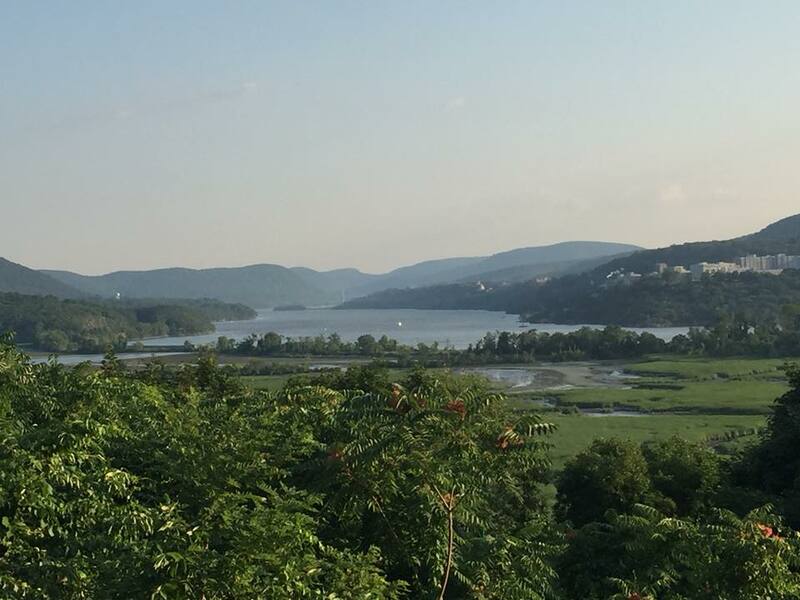 Your Watershed is an area of land where rainfall, snowmelt, and other precipitation falls on the land and flows downstream into a lake, river, or stream ultimately becoming the source of the water you drink. Has there been a history of positive life affirming activity in your water ways including crafts, creativity, trade and settlements? Are your lakes man-made or natural? Where are the Sites Sacred to the Indigenous Peoples’ of the land? Who’s Land Am I On? Walking Water – Pilgrimage of your own Water Resources. This can begin as simply as taking a trip to a local lake, pond, ocean beach, stream, spring or well. Bring offerings, prayers, water songs or just your heart-felt intentions to make a new relationship with the Water. This can grow into a full Pilgrimage of walking the water from source to tap. You may seek out guides or indigenous allies to assist you in getting the best understanding of your watershed. Allow this to be a time to foster commitment to protecting these water resources for your family, your community and for the generations to come. Testing your water. Including identifying areas along the Path of your Water that may be polluted or contaminated in some way. Is there a history of dumping industrial pollutants in that same water or nearby land? 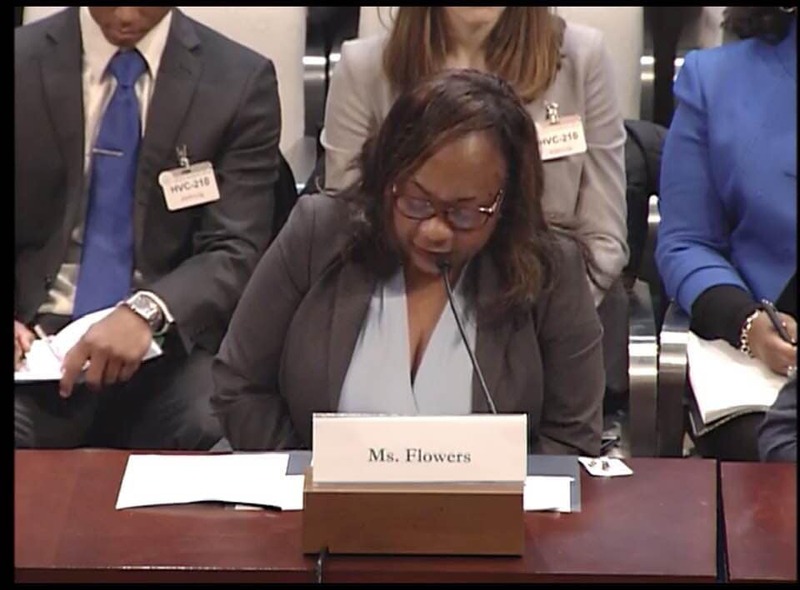 CEE’s Catherine Flowers recommends contacting the Environmental Science or Biology department at your local college or university. Introducing water as a topic in your faith based and community activities. 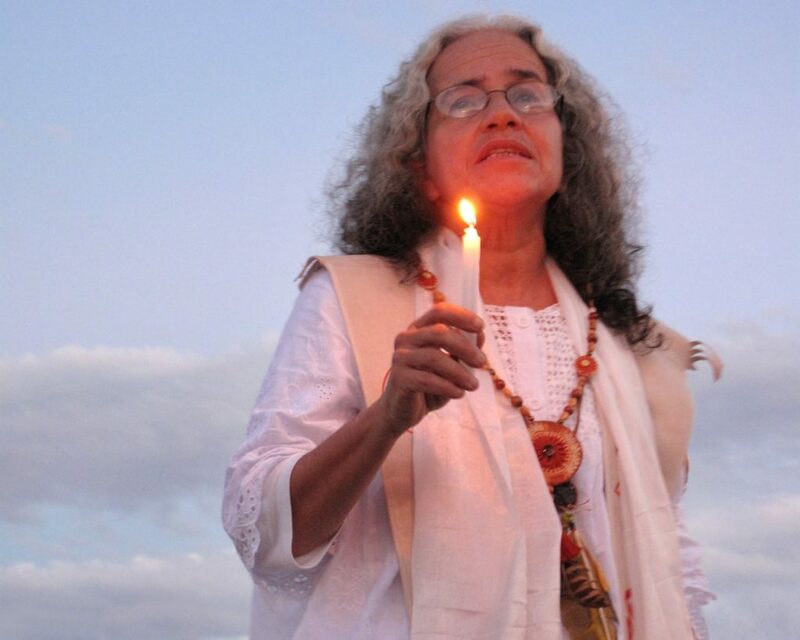 Study the use of water in ritual, understanding the sacredness of water in your tradition and familiarizing yourself with the traditions of others. 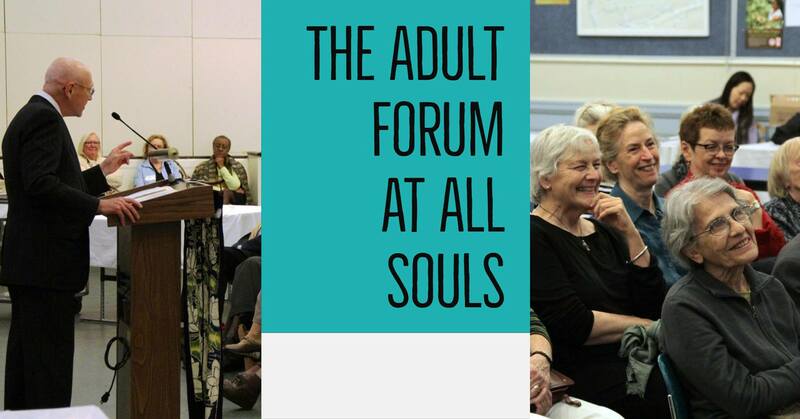 If appropriate, host a Laudato si’ study group. Create opportunities to share how We are all made out of Water. Water is Life. Understanding that protecting access to clean water is a sacred human right and an issue that concerns us all. 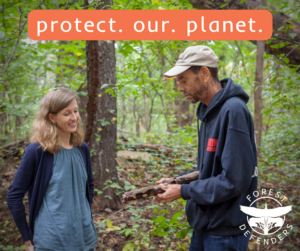 Being a Water Protector can take many forms: ceremony, community clean up projects, organizing water walks, working with others to protect your water from legislation that allows polluters to poison the water. It centers around sharing with others the importance of water, that all life is sacred, and that Water is Life. This can include Water Atlases; Fountains; Community Clean Up projects; deepening research on Water Catchment Systems, and other water topics for use, conservation and protection, etc. 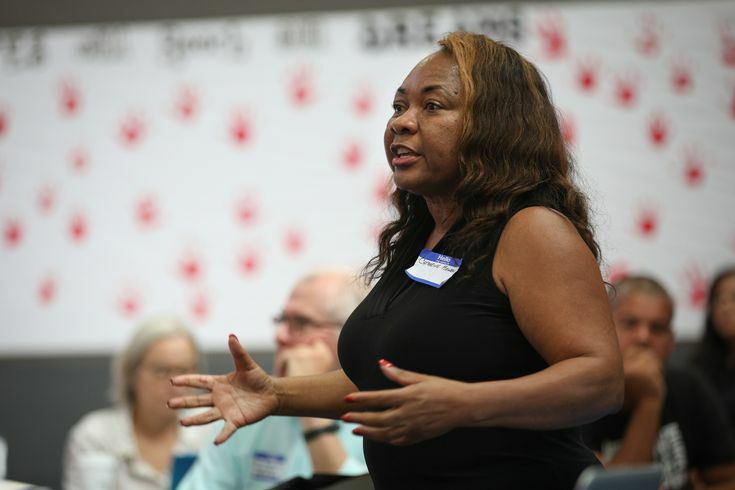 Educators from across the country are developing Water centered curriculum for students of all ages. If you are looking for other ways to take action, here are three: R.O.A.R. 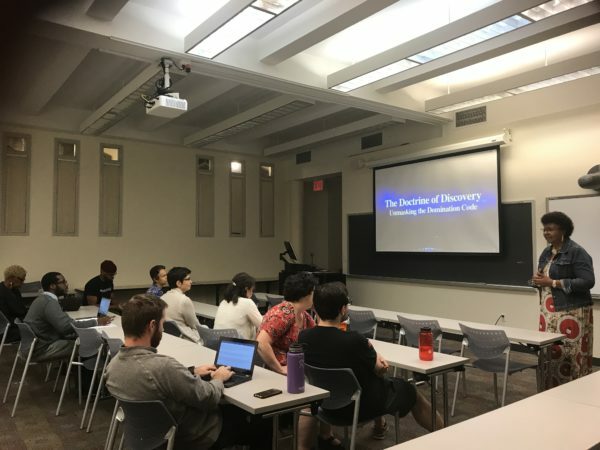 : Religious Organizations Along the River, Riverkeeper and Civil Disobedience Training – On the Frontlines of Water Protection – taking the next step. Water themed events that bridge art, spirituality and activism can inspire changes in policy for local communities and beyond. You can curate art exhibits, concerts, and other performances with the theme of water. Make public murals to bring more awareness to water issues, engage indigenous voices in the process. Passionate Waters offers up a beautiful model for raising awareness and resources about Water through Art. We can successfully bring people together across sectors with our common goal for a better quality of life made stronger through our shared connection to Spirit. 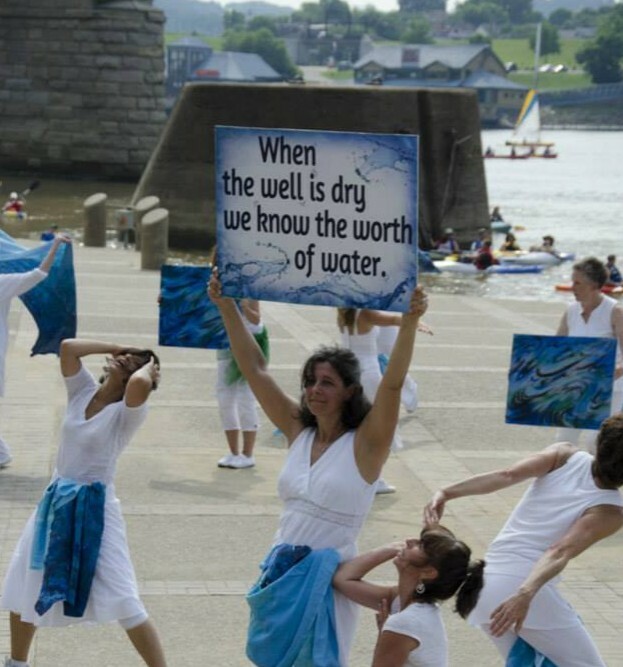 Participate in Global Water Dance Day with groups in 120 countries around the world. They are offering a free webinar on World Water Day, March 22nd 2019 and this year’s Global Water Dances event is on June 15th. Now that you know your watershed, treat your community to an artist rendered custom Watershed Map to display that will inspire others to join you in building community and congregation around Water. Women around the world have protected, tended and loved the Waters of Mother Earth for generations. It is a sacred responsibility and honor that many have forgotten. From an indigenous perspective, it is a vital role that women play ensuring humanity can and does live in harmony with the natural world. Women everywhere are invited to restore their innate connection with the Water. Keep your own daily practices or walks with water. Lead the building of congregation or community around the sacredness of Water where you are. From daily mindfulness rituals to thank the water when you drink it, to organizing events to connect your community to it’s water source. No effort is too great or too small. Remember you are Water and Water is Life. Keep the Waters Clean, keep the Waters Pure, keep the Waters Available for All, and let the Waters run free. Share this knowledge of and appreciation of water with others. Women of the Water is collecting stories from women who Love the Water. Tell us why you Love the Water, what Water related issues are you most passionate about, and what are your visions for clean and healthy water going forward? What events are you doing for World Water Day and beyond? 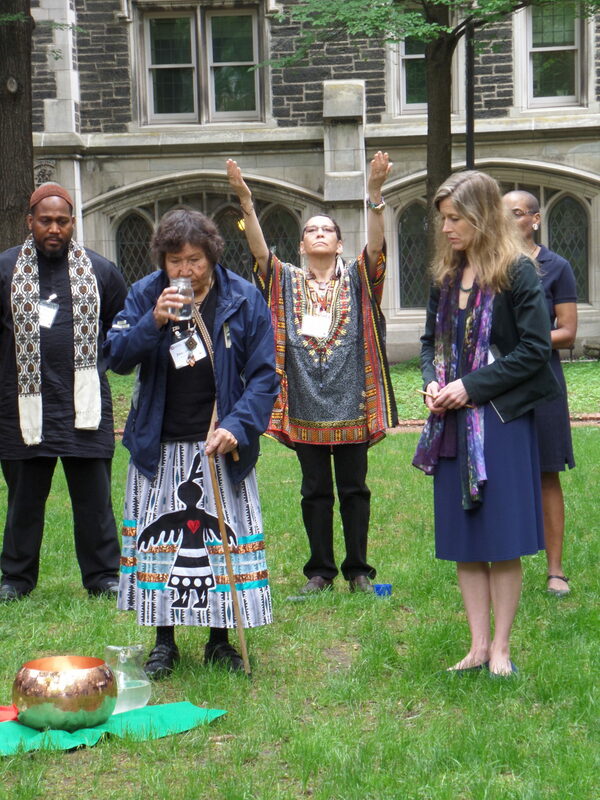 We ⁦at the Center for Earth Ethics and Union Theological Seminary were honored to know Grandmother Josephine and give thanks for her life and teaching. “We’ve known for a long time that water is alive. Water can hear you. Water can sense what you are saying and what you are feeling… Give it respect and it can come alive. Like anything. Like a person who is sick… if you give them love, take care of them, they’ll come alive. They’ll feel better. It’s the same with our mother, the earth, and the water. 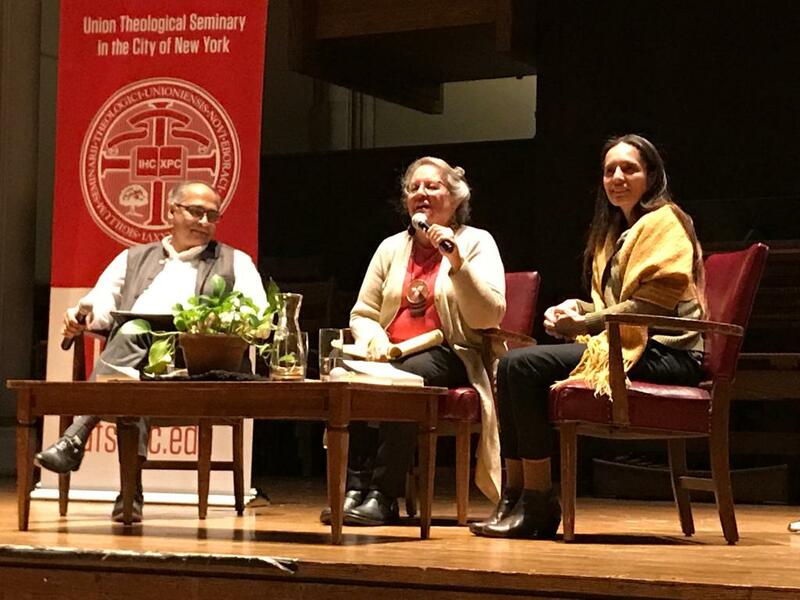 A very special evening with Dr. Robin Wall Kimmerer in conversation with Geraldine Ann Patrick Encina, Scholar in Residence for Union’s Center for Earth Ethics and Union Theological Seminary faculty member John Thatamanil. 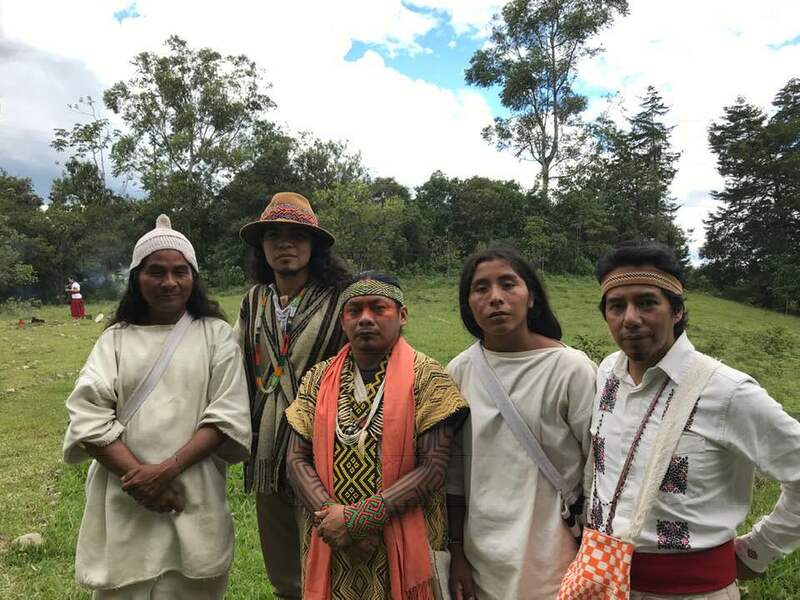 CEE’s Original Caretakers Program Director, Mindahi Bastida, will travel to Colombia to participate in this sharing between indigenous thought leaders and tradition keepers of Central and South America. 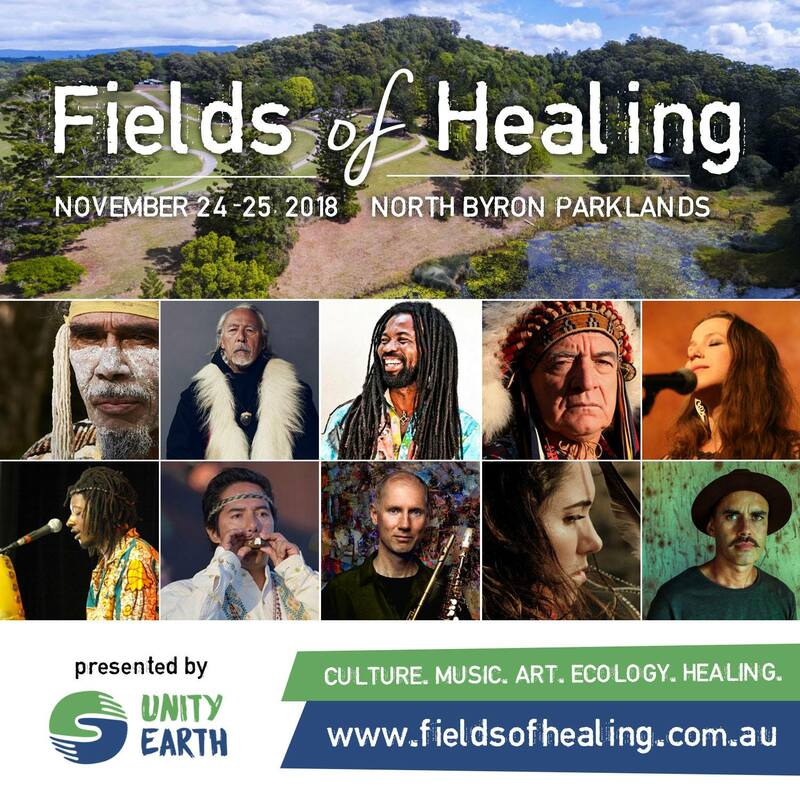 The Gathering of Indigenous Spiritual Elders of South America and the Abya Yala, will be an expression of dialogue and reciprocity to heal Mother Earth for present and for future generations. It promises meaningful discussions, as well as the development of pragmatic action plans. This event is co-sponsored by the Center for Earth Ethics, ICCS – International Center for Cultural Studies, and The Fountain. Application deadline is March 29, 2019. Applicants will be notified of decisions by April 30, 2019. Click here to submit an application. 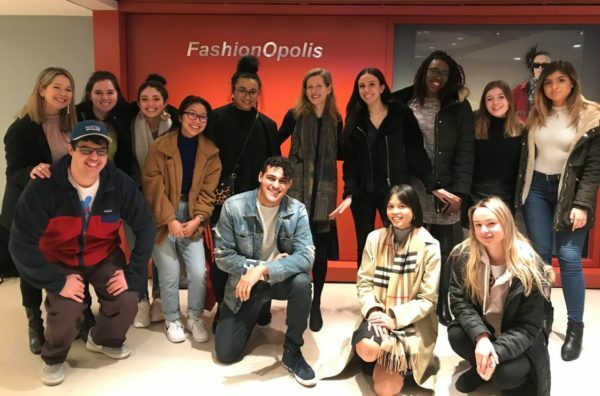 On Monday, February 4, our Sustainability and the Future of Fashion class at LIM College shared a conversation with Founder and Director of the Center for Earth Ethics at Union Theological Seminary, Karenna Gore. We spoke about climate change and its relation to ethics and social justice on a global scale. Daughter of former Vice President Al Gore Jr., Ms. Gore had a political upbringing, but her professional expertise lies in ecological conservation, ministry, and social justice. Gore founded the Center for Earth Ethics in 2015, after the Religions for the Earth conference held at Union in 2014. 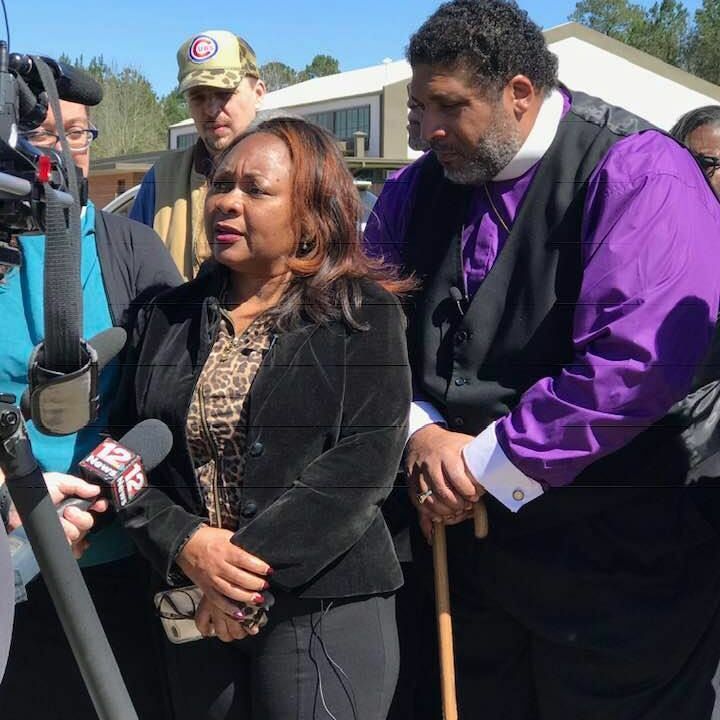 At this conference, over 200 religious and spiritual leaders gathered to emphasize climate as a moral issue and apply faith-based activism to help fix it. Gore explained that the Center’s purpose is to generate dialogue around the immorality of climate change and train leaders to implement change across the world. I found Gore’s focus on social justice and ministry to be intriguing because it is a niche perspective on our threatened ecosystem. When talking about climate change, most people think of the very tangible effects it has on the earth’s landscape and our weather system. However, listening to Gore refocused my lens toward the humanitarian crises—which include threats like floods, food shortages, and large-scale displacements of populations—that will result if change is not made now. Gore believes that the magnitude of hope and good-will that accompany followers of faith can be the catalyst society needs to spark progressive efforts toward conserving our planet and improving our society. Being that we are taking this sustainability course at a business-focused fashion college, how can we change the fashion industry to better serve the environment? Gore had a number of solutions to this problem, one of which included measuring the success of a business beyond profit. She explained that examining a brand’s globalism and ecological footprint are very relevant measurements of a company’s effect on the people it serves internationally as well as how its business practices affect the environment. I believe if every fashion brand started to prioritize their ecological footprint, that alone would initiate visible change on our planet. On a macro level, we talked about government and its role in climate change and conservatory efforts. Joining our lecture was Professor Gayathri Banavara, from LIM’s Marketing, Management & Finance department. Professor Banavara asked if government policy should play a role in conservatory efforts. She used, as an example, India, which has imposed a policy on incoming corporations to contribute 2% of their profits to maintaining India’s landscape and resources and improving their infrastructure. Gore implored the helpfulness of this practice and explained that government policy can play a major role in climate change. If political leaders used their power and influence to create conservatory policies and eco-friendly regulations, companies and people as a whole would be forced to take these issues seriously and implement change. She also explained that similar to business, governments measure a nation’s success with a bottom-line mentality, considering only GDP. The problem is, GDP does not measure aspects like pollution, depletion of resources or environmental harm. Nations are being held to a standard of profitability only, and it is that mentality that has led to our overuse of resources. I found Gore’s presentation and dialogue inspiring, because it allowed my perception of climate change and the realities of it to come full circle. I came away feeling that it is important to know and share this information—we must emphasize the immorality of ignoring our changing environment and warn against the humanitarian crisis that will result should we continue this way. As future business leaders and advocates for change, we must use this knowledge to change how business is conducted. There is much more at stake than hotter summers. 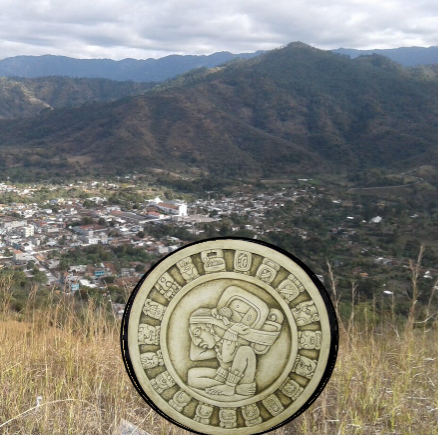 At the Center for Earth Ethics, we seek to be attentive and educated advocates for clean air and clean water, sustainability initiatives that move us to a just transition & the protection of indigenous wisdom and sacred sites across the globe. 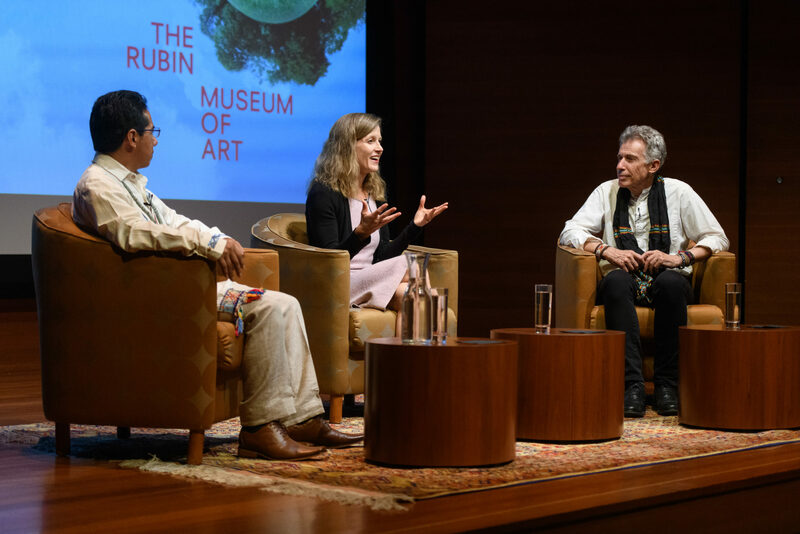 In the Fall of 2018, CEE Director Karenna Gore curated a series of events at The Rubin Museum of Art in New York City as the Future Fellow of the Karma Series. This creative and intuitive space provided a laboratory for exploring themes intimately connected to the work of the Center. 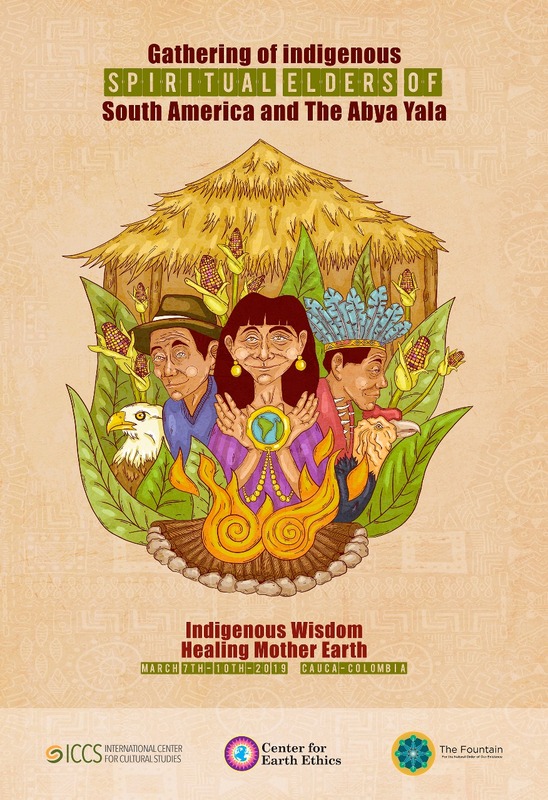 Indigenous wisdom keepers such as Mona Polacca, Tiokasin Ghosthorse and Winona LaDuke dialogued with contemporary artists and cultural influencers from Naomi Klein to Laurie Anderson to Jeff Sachs while engaging with diverse audience members. Topics included Rights of Nature: Do Rivers Have Rights?, Original Instructions of Mother Earth and facing despair in the time of climate change. 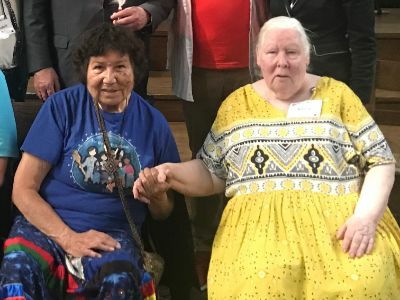 A major highlight was the newly articulated workshop on Indigenous Timekeeping and Sacred Sites taught by CEE’s Original Caretakers Program developers Mindahi Bastida and Geraldine Patrick. 2019 already promises to be a year of convening local and global networks of faithful and inspired people who will continue to bring our social and environmental arcs towards justice. Join us! CEE’s Mindahi Bastida traveled to the Vatican this summer for the conference “Saving Our Common Home and the Future of Life on Earth”. 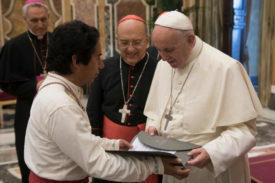 While there, Mindahi was able to meet Pope Francis and deliver a message about preserving biocultural heritage and ancestral sacred sites. 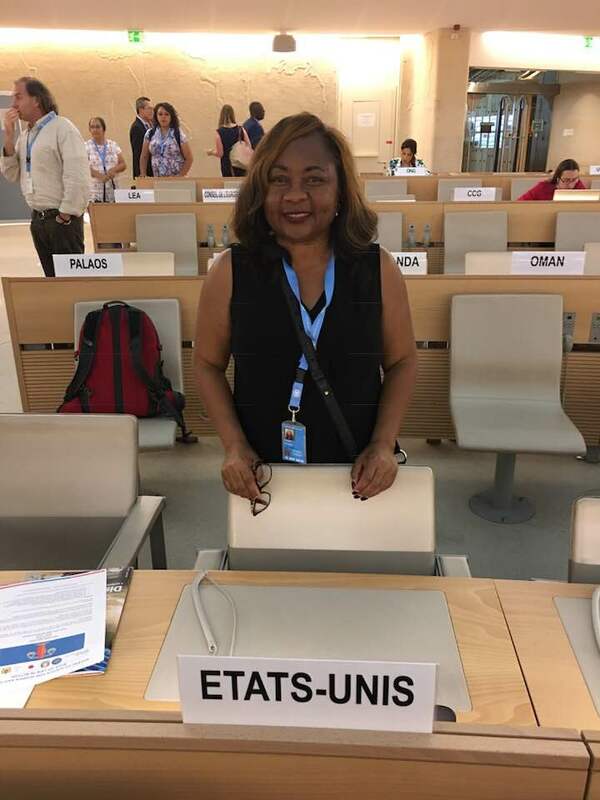 “The US pulled out of the Human Rights Council, but I am here standing for Human Rights.” – Catherine Coleman Flowers, Palais Des Nations, UN Headquarters in Geneva. In 2019, the work to expose extreme poverty and the cause and effects related to climate change goes on. 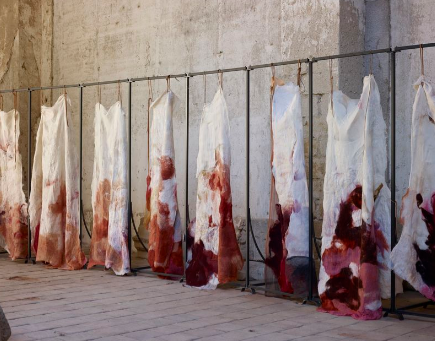 Woven Skin Talks was a discussion inspired by the project WOVEN SKIN by Dutch artist Claudy Jongstra. Our lives are woven into the landscape, even in these modern times. To know the source of our materials, fabrics, dyes and the care of the animals that provide these resources is part of our moral responsibility. How does this relate to larger conversations about FOOD SYSTEMS? And how does art help us to get IN TOUCH with the subject matter? 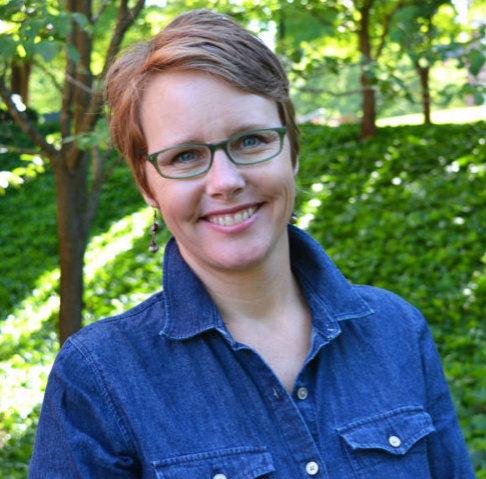 This year’s Minister’s Training will be held at Methodist Theological Seminary in Ohio in partnership with MTSO and the Climate Reality Project. 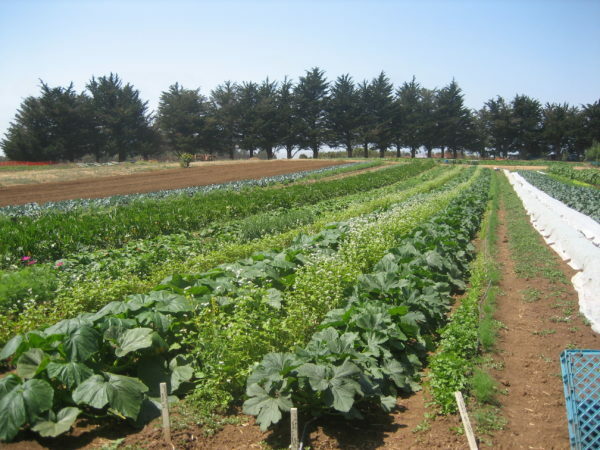 We’re focusing on the impacts climate change has on agriculture and land use, and what faith communities can do to respond. The application for the training will open in February so keep an eye out for it! As Twelfth Night passes, some celebrate King’s Day, others Nollaig na mBan (Women’s Christmas in Irish), and others – still singing carols and drinking cider – go a Wassailing. The Wassail was a tree festivity. A night to play, possibly to drink the cider fermented from Samhain – the Celtic New Year – and to pour libations out upon the roots of trees to ask for blessings upon the orchards. Trees were an important part of early European culture. They fed humans and animals alike with their nuts, fruits and seeds. Each kind of tree was seen as having its own character and wisdom. The first Irish language, Ogham, is often described as “the tree alphabet” because the letters were based on their unique qualities. Invaders to Celtic lands cut and burned down the forests to decrease defensive cover for the native people. Perhaps this history also inspires a longing to protect the trees that remain for present and future generations. In a time when we have destroyed as much as 50% of our tropical forests globally, when we are learning that deforestation practices are significantly contributing to the increase of greenhouse gasses annually, that the absence of forests increases the devastation humans experience in the wake of drought / flood cycles – perhaps it is time to have an Epiphany as to the importance of trees. Humans have a relationship with trees unlike any other part of nature. 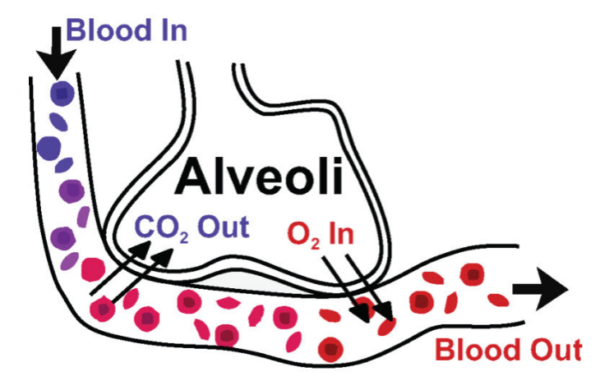 A simple refresher course on how humans breathe ought to remind us of this as human beings inhale oxygen which enters the blood and is circulated throughout the body by the heart which returns the blood to the lungs so we can exhale carbon dioxide bi-product. 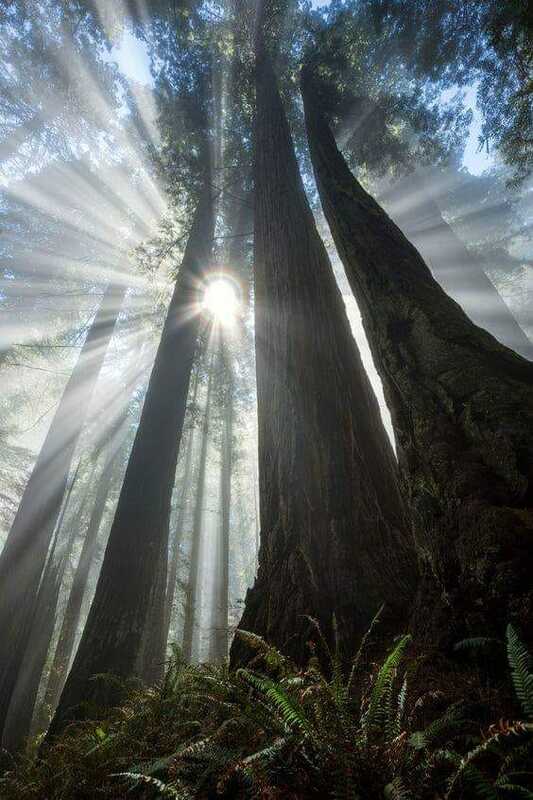 The trees then absorb the carbon dioxide and transform it back into oxygen with the help of the sun. The trees are our counterparts to maintain balance in our environment and to sustain life. How do Trees Help Us Breathe? This January, take time to bless the trees – in your yard, in your neighborhood park, in your forests, in orchards, at your church or temple – anywhere and everywhere you interact with trees in your life. It is said the trees talk to one another through their complex roots systems underground and if you tend to an old tree, a Mother Tree, or Guardian Tree that old one will communicate to all the others. So send blessings to the trees for their flourishing and restoration. Let us apologize for forgetting just how important they are to our survival. Let us learn their names and attributes one more. And let us protect them from the real world threats which would clear them unnecessarily, and lead to our demise. In the spirit of a healthy New Year, to you and your Wassail too, let us go outside and bless the trees. Power of the gliding hawk above you. Deep peace of the shining stars on your leaves. Throughout the green and living Earth.